Welcome to Day #3 of Dark Chocolate Blends Theme Week. 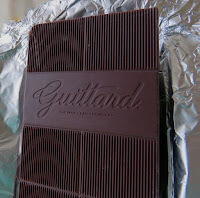 Today's bar was the first of several dark chocolate blends created by Guittard (Burlingame, CA). Guittard has been making chocolate in the San Francisco area* since the 1800s. 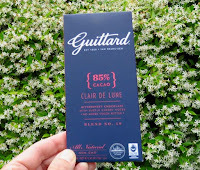 This Clair de Lune 85% bar (Blend No. 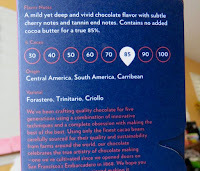 49) was described as "bittersweet chocolate with subtle cherry notes," and was prepared with no added cocoa butter. I also found this to have bittersweet, tart and sour cherry/red fruit or berry notes. For an ultra-dark bar, it was well balanced overall. While we don't know the exact origins, we know that this Guittard blend contains Forastero, Trinitario and Criollo varieties of (non-GMO) cacao beans that were grown in Central America, South America and the Caribbean. "The art of chocolate making begins on the farm." This sentence was printed on inside of the wrapper/packaging. So true. Many steps are involved in making great chocolate, but without the right beans to begin with from the farmer, great chocolate is all but impossible. Blending may help tone down sharp notes or balance "flaws" but even blending techniques have their limits. 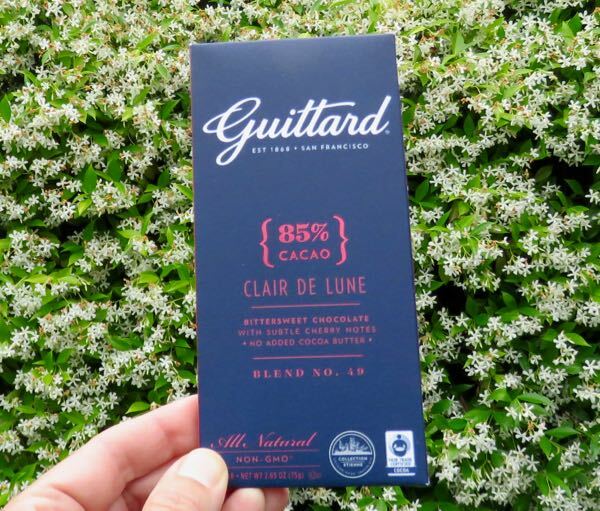 Guittard has years of experience arriving at the right flavor profile(s) for wholesale and retail chocolatiers as well as consumers; and this line of blend bars will be interesting to taste.